Our group has a history of over 25 years, during which it has grown steadily while becoming increasingly multidisciplinary and international. The group is now made up of more than 20 members from diverse countries, and includes doctors and graduates from every area of biomedicine (medicine, biology, veterinary medicine and pharmacy), as well as laboratory technicians and a project manager. The variety of backgrounds endows the group with a broader vision and a richer conceptual and methodological approach to the problems it studies. In its early years, the research carried out by our group aimed to characterise gastrointestinal disorders related with the production of acid and motility. We published a considerable number of articles in the area of experimental pharmacology, employing isolated organ baths or in vivo models to determine the role of haemodynamics and mediators such as nitric oxide in said disorders. In the last 10-15 years our research has evolved to give molecular biology a more prominent role in our studies and we have broadened our approach to include new pathologies. We continue to investigate about gastrointestinal conditions such as inflammatory bowel disease and the harmful effects of NSAIDS on the intestinal mucosa, although we now focus on specific aspects of the cell’s immune response, the role of hypoxia and cellular bioenergetics, particularly the role played by mitochondria in the aforementioned pathologies and in metabolic diseases such as diabetes and in obesity. The group has also branched out to include new areas of pharmacological research; for the last 10 years we have been studying the toxicity – particularly hepatic and cardiovascular – of antiretroviral drugs, becoming somewhat of a reference group in the field. In addition to this, we have incorporated lines of research studying new biologic and biosimilar drugs. The group has obtained a steady flow of public and private funding over the years. 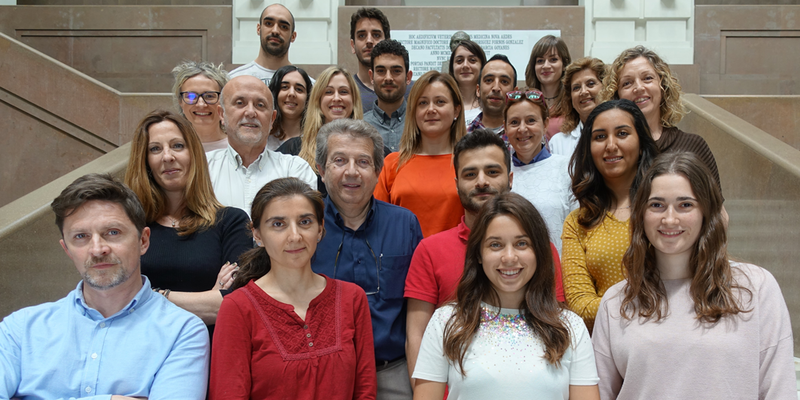 Over 30 PhD students have prepared and defended their doctoral theses within our group, 10 of which have been awarded the University of Valencia’s annual Best Thesis Award. A significant percentage of these PhD students have continued their careers in science by obtaining posts in universities or other institutions related with biomedical research. Three of our members have received the Spanish Pharmacological Society’s “Young Researcher Award”, which recognises the best scientific curriculum among Spanish pharmacologists under the age of 35, and another of our researchers received the 2012 “Young Investigator Award” from the Federation of European Pharmacological Societies (EPHAR), for the best curriculum among young European pharmacologists. At present, apart from our university and CIBER affiliations, members of our group form part of a European Horizon 2020 COST Action investigating autophagy, NEAR (Network of Excellence for Autophagy Research), and a CIBER Strategic Action investigating the use of human tissue in translational gastroenterology research.